Canada's largest collection of original War of 1812 buildings and 1813 battle site. Located in the heart of downtown Toronto, Fort York is open year-round and offers tours, exhibits, period settings, and seasonal demonstrations. During the summer months, the site comes alive with the colour and pageantry of the Fort York Guard. Fort York also provides a wide variety of education programmes for groups of all ages. Find out about hours, tours, and directions to make the most of your visit to Fort York. 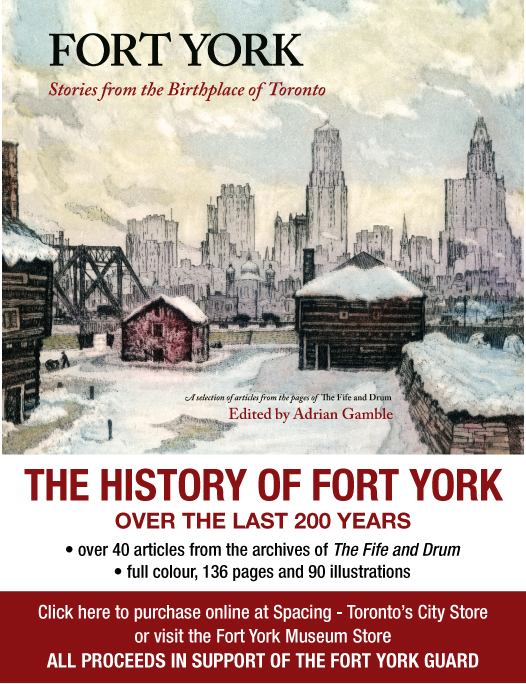 Become a member of The Friends of Fort York to enjoy the benefits of membership and the satisfaction of supporting an organization dedicated to preserving, enhancing, and interpreting Fort York. Please read the about us section for an in-depth description of our mandate and activities.